My Stampin' Up! demonstrator group swapped 3D Party Favors at our last meeting. It was like having an early Christmas. 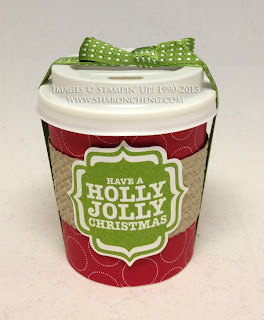 Teresa Goff made this mini Christmas coffee cup filled with candy. Fortunately for several of us, she had bought extra mini espresso cups and sold them to us. I decided to make this fall version as a gift for a friend. You'll be seeing more of these mini espresso cups. You can buy them at webstaurant.com. 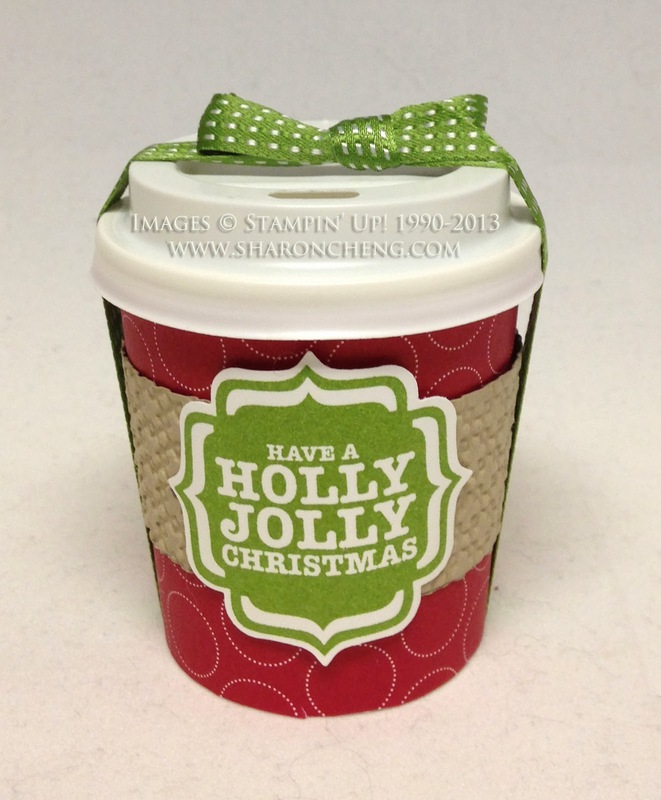 The hardest thing about decorating these cups is making the template for the paper to wrap around the cup. You can get a copy of the template I made for free. Post one of these cups on Pinterest and email me the link. I'll send you a copy of the template. Cindy Peterson made this wonderful snowman tealight. 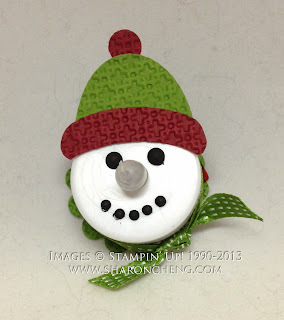 The eyes and mouth are made with Stampin' Up! 's basic pearls. To paint them black, she spray painted an entire sheet of pearls. 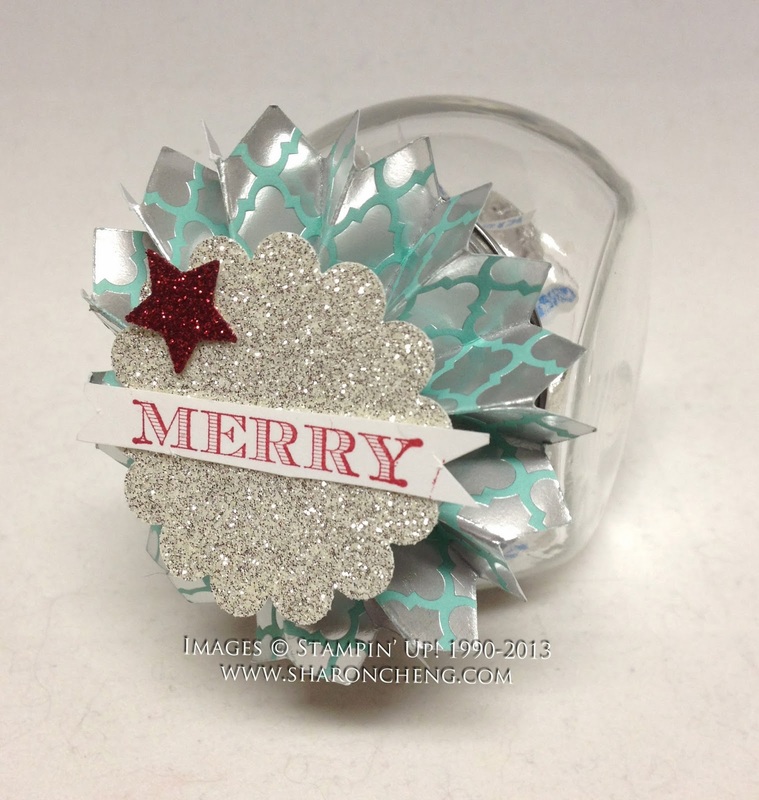 This candy jar was decorated by Melody Smith. The jar is filled with candy kisses. I love how the silver theme is carried throughout the project even down to the candy. How many ounces are in your mini-espresso cups? I got lost on webstaurant.com. lol! Lots of stuff there! The cups are so cute! TFS!! Yes, I used the 4 oz cups. Thank you for asking.